I love my Apple devices. With its iCloud feature, I can access files with any Apple device I use. Unfortunately, I’m running out of iCloud space. What should I do? Don't Panic. I will share some skills to free up iCloud Storage Full. Part 2. How to Free up iCloud Storage For Additional Space? Part 3. How to Prevent iCloud from Becoming Full? Part 4. How to Buy More iCloud Storage? iCloud is a great feature of Apple giving you the ability to sync apps and files on it. With this, you can access your files from any device you want as long as you log into your iCloud account. However, by default, iCloud only gives you 5GB worth of storage. This just means that you have used up almost all of your free storage. Or, if you are currently on a paid plan, then your storage limit is about to be reached. You might think the only option is to buy more storage for iCloud by upgrading your plan. However, this is not true. Before opting for a higher plan, you can try to do what we’ll teach you and free your iCloud storage of space. If you’ve encountered the dilemma of having almost no iCloud storage space, then you must try the simple methods outlined below to manage your iCloud. It is important to do all the methods outlined as they are different from each other. Method 1: Delete Unnecessary iPhone Images. If iCloud Photo Library is activated on your iPhone, every photo your capture is synced to it automatically. One photo isn’t that too much when it comes to storage space. However, if you take three or four shots of the same image, then that will most likely cost you space. To free up iCloud storage space, you have to manually sift through your images and delete unnecessary ones. Method 2: Look For Old Files In iCloud. Ever since macOS Sierra has been around, your system stores old files (e.g. old movies you have watched before) automatically to iCloud. This allows your device to free up storage on Mac. Although your Mac is freed of space, your iCloud is compromised by being cluttered with unnecessary files. Step 1 - Go to iCloud.com and sign in to your account. Step 2 - Click iCloud Drive. Step 3 - Skim through your files and select the unnecessary ones. Step 4 - Click Delete. If you are a user with a macOS High Sierra, you can also view the iCloud Drive using “Finder.” Do the same steps stated previously. Backups of your iPhone made on iCloud is one simple way to keep your files in case something wrong happens. Usually, the most recent backup is the most important one. Thus, there is no need for you to store backups of your iPhone that was created months ago. # 1 - Use your Mac and visit System Preferences. Then, go to iCloud. # 2 - Click “Manage.” After which, select “Backups. # 3 - Choose the specific backup you want to delete. Remember that when you remove backups, the backup feature of the particular device is deactivated. Did you know that the Trash and the Recently Deleted Folder still occupy space? You might think they don’t but they actually do. After you have finished methods 1, 2, and 3, do this fourth one. * 1 - Go to Photos. * 2 - Visit the Recently Deleted Album. 2 - Locate the top menu and click Mailbox. 3 - On the dropdown menu, choose Erase Deleted Items. 4 - Pick the email address you use on iCloud. & 1 - Launch the application. & 2 - Press Trash. & 3 - Press Edit. & 4 - Press Delete All. After you have done the four methods above, you might have at least more iCloud space. Do these methods often such as every one or two weeks to avoid clogging up your iCloud. Although you have done the methods stated previously to free up space on your iCloud, there is still a better way to prevent iCloud getting full. This is by using a tool like iMyMac-Cleaner Mac Cleaner. The two main reasons you see the "iCloud store almost full" message are from your iPhone sync photos and the large files synchronized from the Documents and Desktop folder on Mac. The first step is to download the iMyMac-Cleaner here. You can start with a free trial or you can ultimately purchase the tool. Once you have downloaded iMyMac-Cleaner, you should launch the tool. Once it opens, you will quickly see a “System Status” of your Mac device. On the left-hand side of your screen, click on “Junk Files.” After which, you should press the “Scan” button so that Mac Cleaner can check your device. 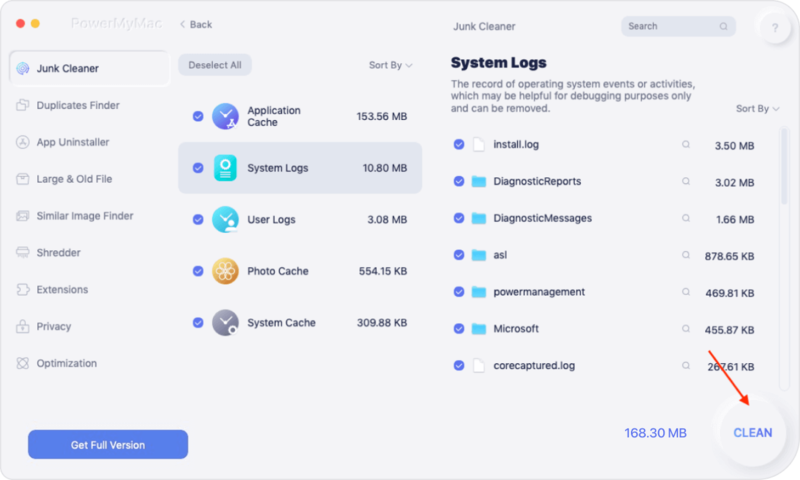 After the scanning process is done, Mac Cleaner will show you all the junk files in various classifications such as Application Cache, Mail Junk, System Cache, etc. Click a category to show the details for that particular classification on the right-hand side of the screen. 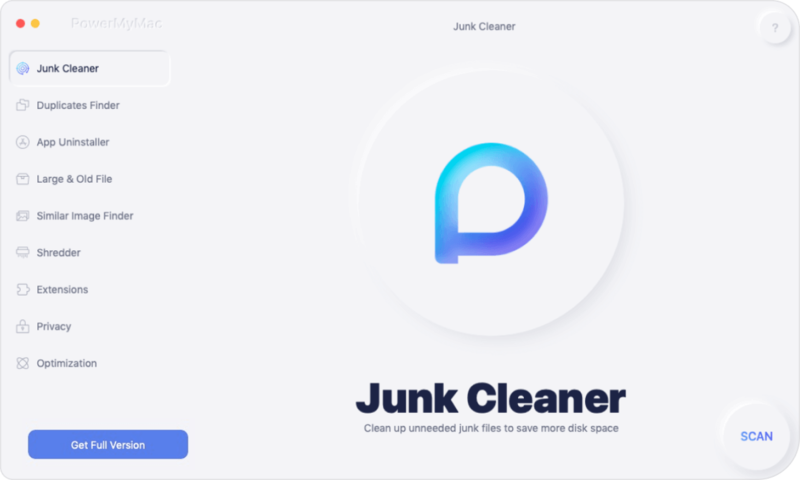 Choose the files you want to delete and click the “Clean” button. The software will ask for a confirmation. Confirm the deletion of files. It is best to clean up the “Trash Bin” as well. After the deletion process is done, many of these files will be regarded as 0KB. However, some of them won’t be seen as 0KB because they are regarded as auto-recreated folders. Do the same process over again with “Clutter” and “Large and Old Files.” These two can be seen on the left-hand side of the Mac Cleaner’s screen. If you don't want to synchronize everything to the iCloud, and consider that your Mac storage space is more than 5 GB free in iCloud, you can store the data on the Mac local. It's easy to get more space, you can operate from any device (including iPhone). On Mac, go to Settings > iCloud> Management > purchase more storage space. It is almost the same on the iPhone. Only iCloud applications can manage storage and then change the storage plan. iCloud can be a great way to back up your files and to access them on any device you have. However, as with most device features, iCloud’s space is limited. Before you try to upgrade and cash out more money for a bigger storage space, you can try out the tips outlined above. You can manually delete files you don’t need. Or, you can use a tool like iMyMac-Cleaner Mac Cleaner to do it faster for you.